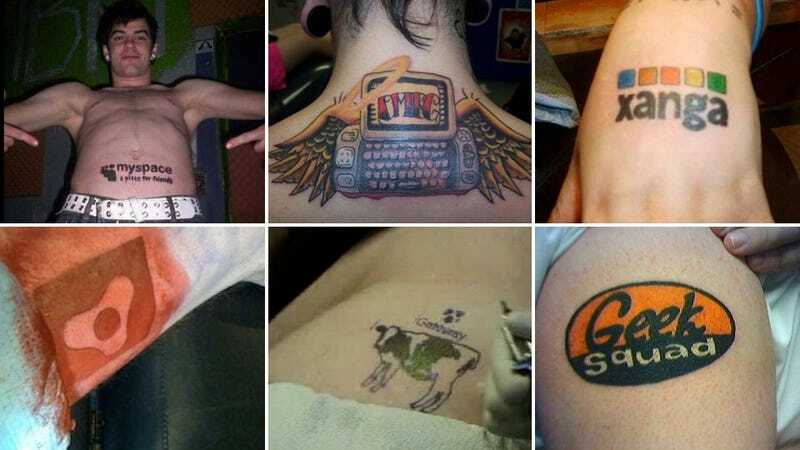 You're free to ink whatever permanent monstrosity you want on your body, but when it comes to technology tattoos, be careful! Some tech tats have expiration dates. All technologies will eventually be replaced, but some will be remembered more fondly than others—and some won't be remembered at all. The neat thing is if you hold your phone up to this and scan it you're sent to a website that just says "I AM A MASSIVE TOOL" in giant blinkytext. I assume.